Classic style brass 1970s' candleholders. Octagon base. *Other items are not included but are sold in separate listings. Props not included. 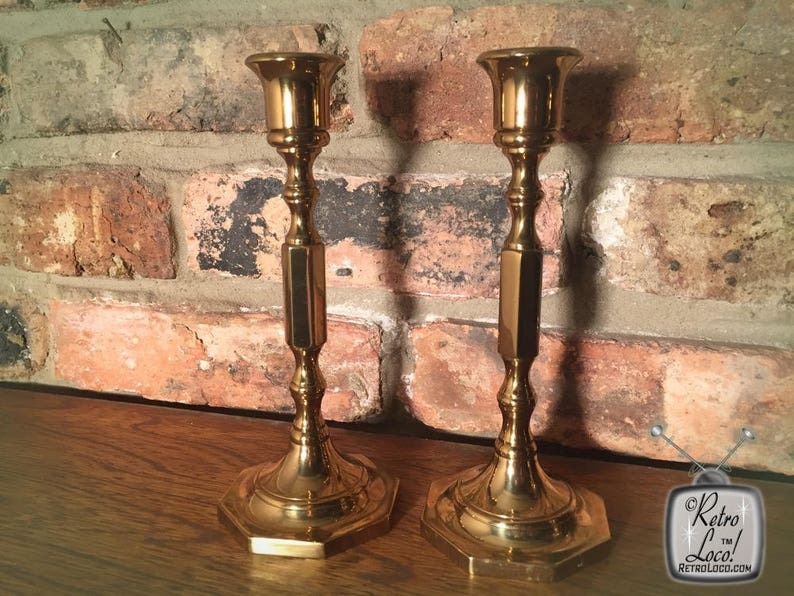 ❉ What you will receive: One pair of brass candleholders. ❉ Condition: In great vintage condition. No cracks or chips. A little tarnishing. ❉ MY OTHER SHOP: https://www.etsy.com/shop/fuzzycheeks - Animal-themed vintage collectibles. ❉ SHOP POLICIES: For questions regarding my shop's policies please scroll down to "Frequently asked questions about RetroLoco”.